GameStop cuts prices again, most of these less than $3. Only Battalion Wars 2 was more, for a little over $12 for all. DS collectors who don’t mind loose carts can find similar bargains. 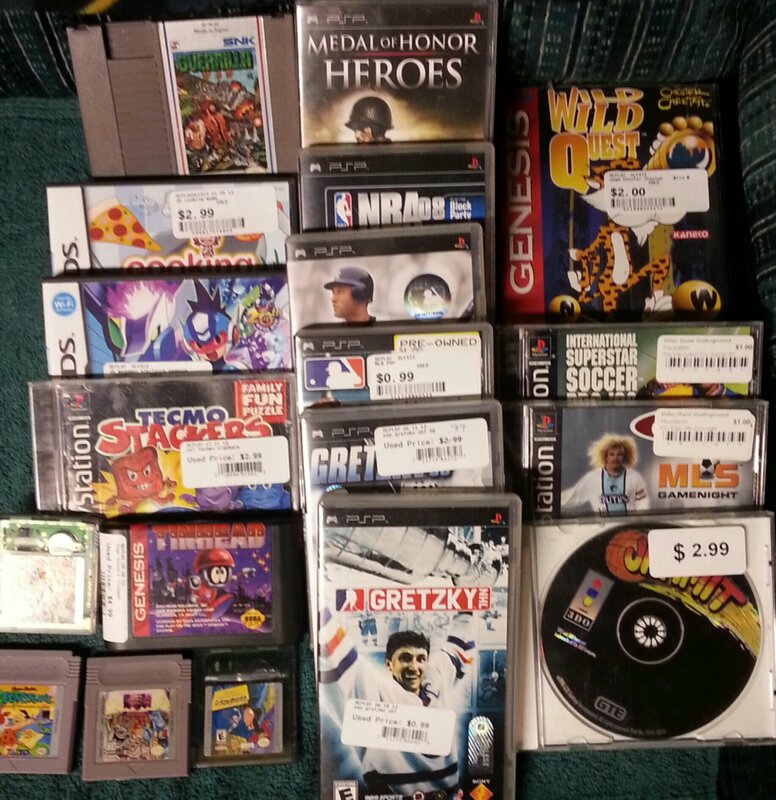 Lower Michigan game store find, from Destiny Games and Gen X Games, about $18 for all. We Love Golf was the only “pricey” title at $10, mostly because it’s Capcom and was developed by Camelot. Not much value unless you’re an arcade golf fan. 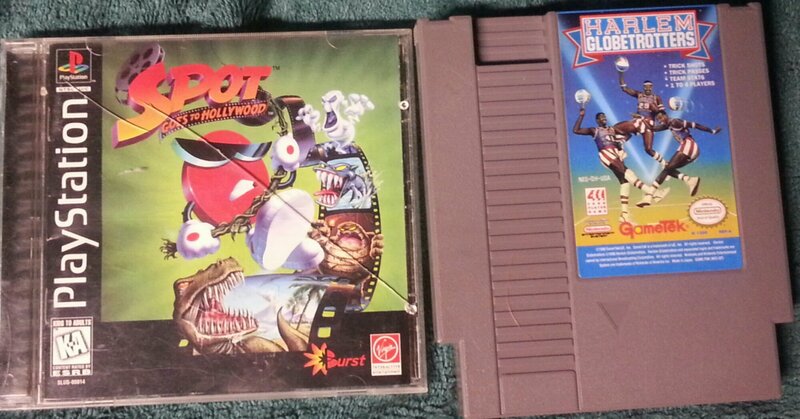 Two unremarkable thrift store finds ($7 total) except they’re difficult to find locally. Distribution for all games can vary by region. Spot, while a mild uncommon everywhere, has only shown up once here – a copy I used to rent when I was younger. I had never never seen one since until today. Going on out of state on runs can often lead to surprises, especially when surrounding areas dry up. Nobody wants Xbox items. It’s… Strange. Few consoles have less interest in the collectors sector than Microsoft’s original black box. As such, if you’re one of the few who show interest, the market is yours. Only a handful of games command a “premium” of $20, and anomalies such as Jurassic Park: Operation Genesis are few. A complete set, complete in box? It’s feasible and quick, making this a superb disc-based starter set. 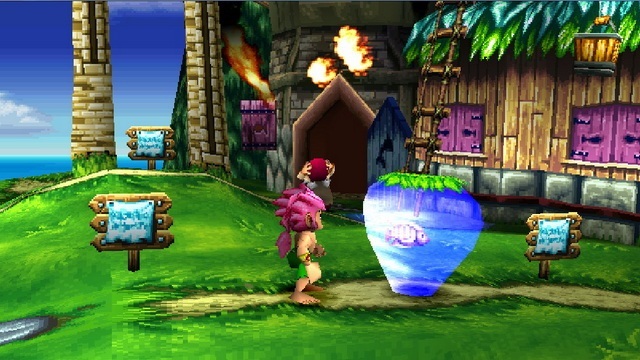 Tomba 2 is coming to PSN. It joins a number of decidedly rare physical games in a march to low cost digital accessibility. Despite the $10 price of the download – in contrast to $100+ complete physical copies – value will most likely never flinch. You can see this with other games, from the ballyhooed release of Earthbound on Wii U to Summer Carnival ’92 Recca on 3DS. Both have readily available digital editions, yet the physical carts remain at their pre-digital levels (if not more so). Do not worry about your collection being devalued if you own these items (if that’s important to you), nor should you think the market will wane allowing cheaper access to an original copy. The game doesn’t change, this despite some uneasiness when Nintendo first announced the Virtual Console. Embrace stable values and easy access to games few will ever play. It benefits us all. Multi-store run after an extended weather based house arrest. 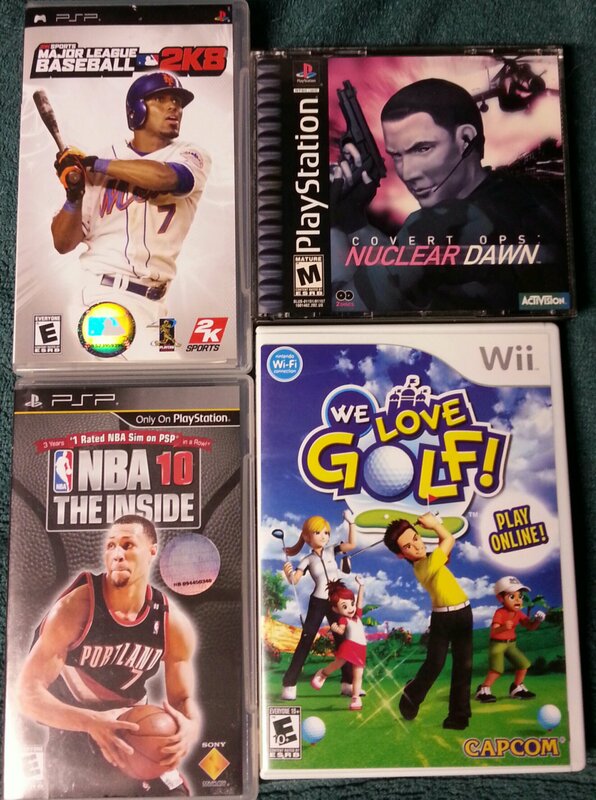 Pulled the band-aid off per se and filled PSP sports game holes at only $1 each. Overpaid for Guerrilla War ($4) as I found my copy not working. Total for all was a hair less than $50. A note on Flintstones (Game Boy): Some seem to be inflating the price of this title online, upward of $200. The cart alone is not worth the exorbitant price. Compete with box and manual is something else all together, and the false assumption is loose copies are equally value in those bloated prices. Comparable would be Castlevania Legends (also Game Boy), a $45-ish cart on the high side that balloons to hundreds with the box or manual. Flintstones? $5 game. 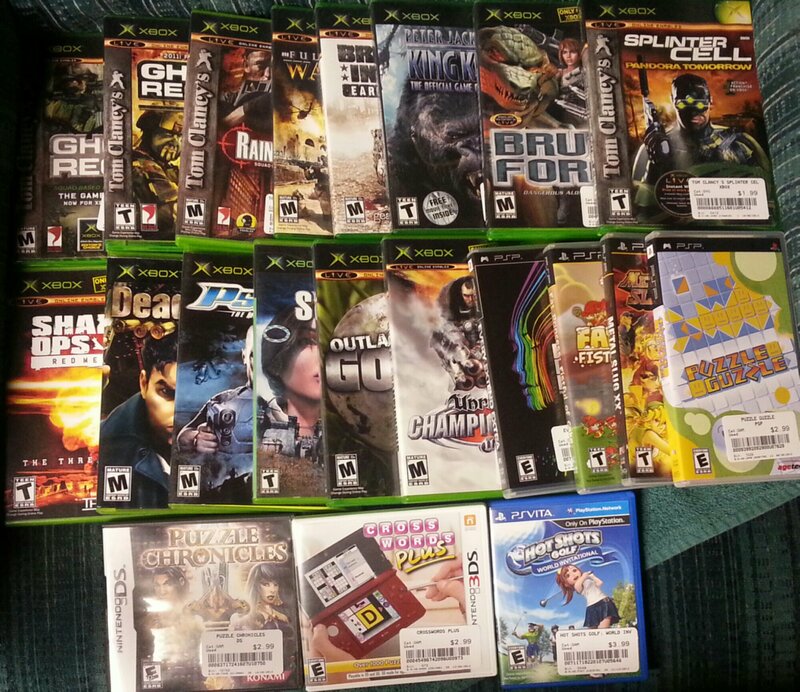 Local B3G1 sale at Buybacks led to this Xbox (and others) haul. Most games were $1.99. Hot Shots Golf on Vita was apparently a pricing error, bought for resale to drop the price of the total lot even further. 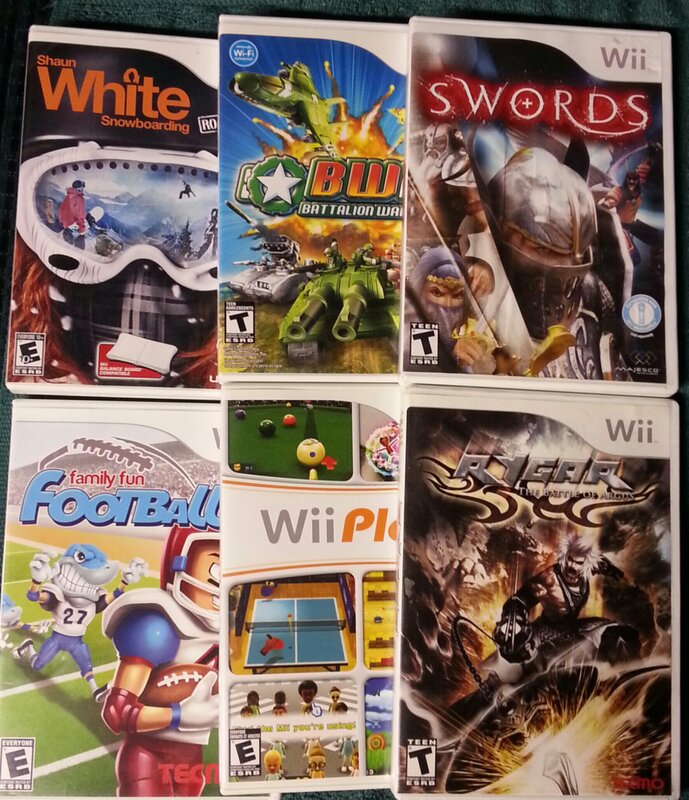 In all, 21 games rang up to $38 on the register after tax. Some gems in this mix too. A note on Buybacks: This chain store has often preposterous prices on retro games (Tomba for $75, Punch Out for $22), but generally discards prior generation games with little notice. Lots of deals to be had if you’re a frequent shopper.